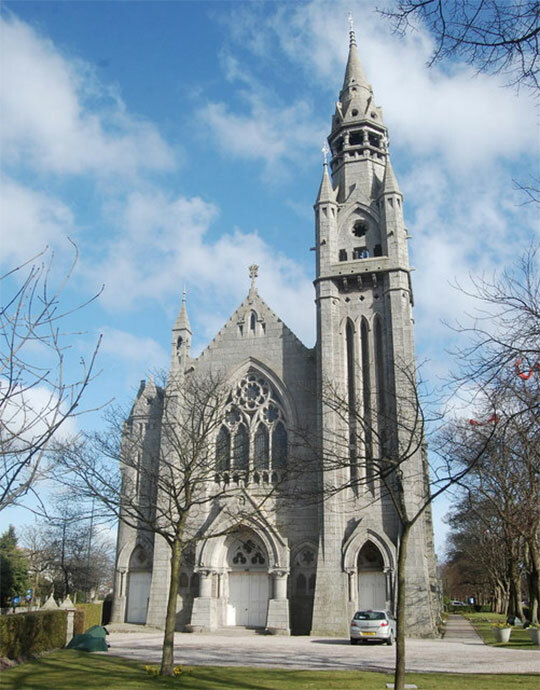 John Pirie was born in 1851, and his first quality was the gift of timing: he was an aspiring ecclesiastical architect born into a boom of Kirk building. 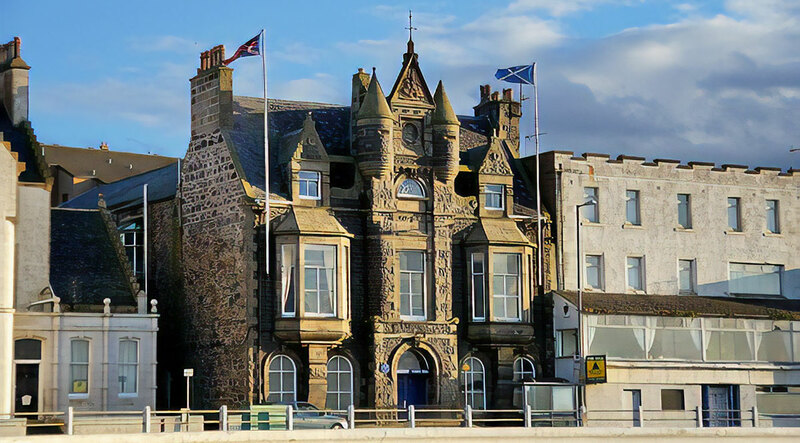 The son of a sea captain, he attended Ledingham's Academy in Aberdeen, then served his articles with the practice of local architect Alexander Ellis. In the incestuous world of Scottish architecture, Ellis's partner Robert Wilson had in turn worked for the famous Glasgow architect, "Greek" Thomson. Pirie would later be influenced by Thomson's work, which he came across when he worked for David Bryce, for whom he travelled throughout Scotland to supervise country houses under construction. Pirie's future business partner, Arthur Clyne, became an assistant to the great Andrew Heiton in Perth: Andrew Heiton (father and son) were Perth architects who designed much of Tay Street in their native city, and palaces for nearby Dundee's jute baronsÉ and Heiton senior was a pupil of David Bryce. In 1877, Pirie set up in practice in his own right in Aberdeen, and his earliest known work is the fountain in Victoria Park, designed before he formed a partnership with Clyne. Following a well-worn path to gaining commissions, Pirie entered design competitions, and the resulting three major kirk commissions made his reputation: the first being Fraserburgh South Kirk, of around 1878; the last being Millbrex Kirk, near Fyvie, of 1881–82, and in between the two, Queen's Cross Kirk in Aberdeen. Queen's Cross was won in competition in 1879, and it's worth noting that Pirie was around 28 years old when he entered the contest: nowadays, this fact alone would mark him out as being exceptional. Architects may make their mark, but it habitually takes thirty or forty years in practice for them to ditch their influences; to recognise the superfluous and then purge it; to find their own voice, then make it say something. The planning and organization of Pirie's galleried kirks is, literally, orthodox: but the details show a powerful originality. The Art Nouveau aspects of the kirk are perhaps its most unexpected quality: the extraordinary keystones above the side door on Albyn Place, effectively voussoirs with sinuous, interlocking sides, are unlike anything else in Scotland. The quotation carved into the masonry above the door screen on the west front, "God is Light", shows off a particularly fluid style of lettering which is also highly unusual for a Presbyterian kirk. has more traditional Scots precedents, and is certainly of its time. A mark of Pirie's architectural confidence is the genesis of a consistent and developing language which he applied throughout his career: to Argyll Place and Crescent through 1880–85; Macduff Town Hall of 1884; Hamilton Place from 1884–91, plus No.50 Queens Road, designed in 1885 and completed in 1886. 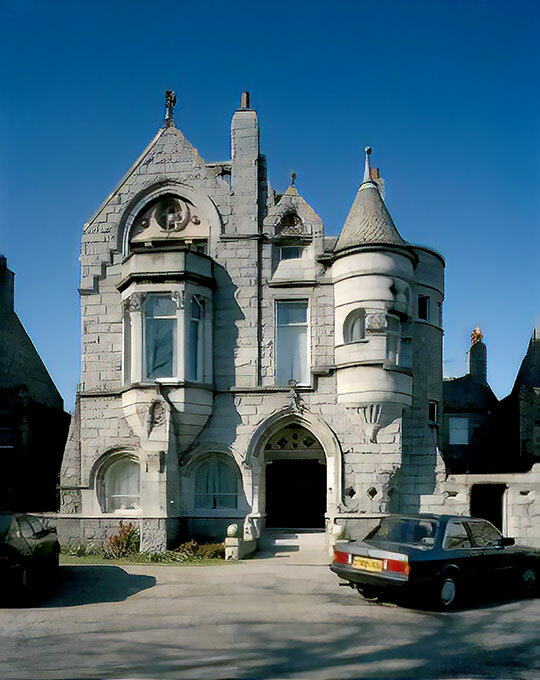 Pirie later came third in competition with his entry for Aberdeen Free Library in 1889, but the house at No.50 was his second masterpiece. This house, which John Morgan built for his family in 1887, became the embodiment of both Pirie and Morgan's ideas on architectural form and detail. At a tragically young age, Pirie contracted tuberculosis and died of consumption in 1892: his inspiration was also to play a role at the end of his life. As John Morgan said of Pirie in his Memoirs, "He died early in years, yet he left abiding memories of his taste, still, and genius, and it gives some idea of his influence when one finds some of his details all over the town." In fact, Pirie died a poor man– despite having run an apparently successful practice– and he was such a bad risk that he found it impossible to obtain life assurance. He left behind a young widow and five orphaned children for whom John Morgan raised money after Pirie's death. We booked two rooms and they were nice, spacious and comfy. Very clean and staff - very helpful and friendly. 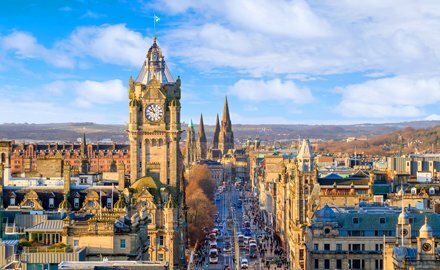 Discover all the latest news about our hotel in Edinburgh, and keep up-to-date with all the best Edinburgh events ahead of your visit! 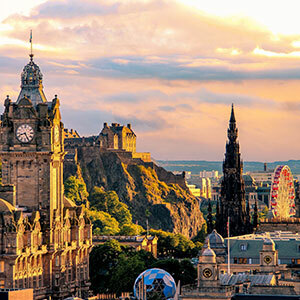 Stay at our Edinburgh hotel and you’ll be in the heart of the city within moments. 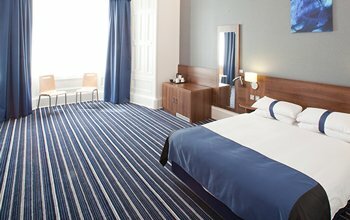 Have a sneak peek around our comfortable, contemporary and convenient Piries Hotel central Edinburgh. 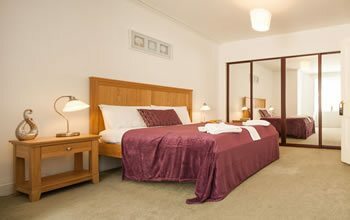 If you are looking for a convenient, comfortable and affordable place to stay in the Edinburgh area, then our hotel is the place for you. 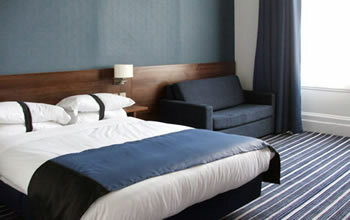 Our hotel is within walking distance to Edinburgh train station, and within easy driving distance of Edinburgh Airport. 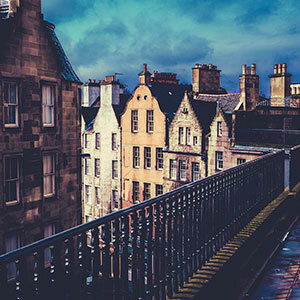 We offer clean and competitive accommodation in the centre of Edinburgh. 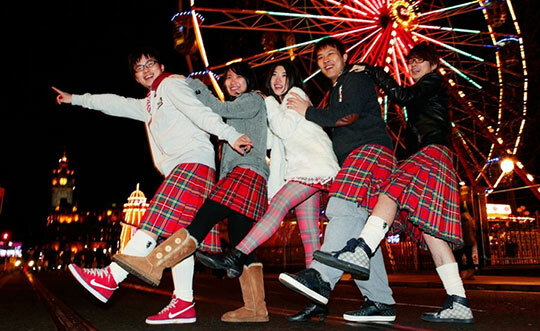 We were two couples heading through to Edinburgh for a Xmas night out. We booked the Piries garden flat through 'itison'. What a lovely large flat with two huge bedrooms, sitting room with dining area, well fitted kitchen, large bathroom & a little walled garden for sole use of the flats occupants. The beds were comfy & spotless. The flat was cosy & warm. We were also given a breakfast hamper & complimentary wine & chocolate. The staff were friendly & helpful. It was a great stay & we regretted not booking for two nights. We will definitely be back! We loved our stay here. Friendly staff and the hugest room I've ever seen. Clean tidy and so close to everything you need. We didn't get to sample the breakfast but it smelt amazing. We would definitely recommend. Thank you for a lovely stay. We will be back. Room lovely and clean, decoration very good and comfortable, bed very comfortable too. Housekeeping staff very friendly and very good workers. Excellent location, very good restaurants and choice of bars, all within easy walking distance. Very close to regular public transport, trains, trams and buses into town. Fantastic staff they suggested on places to go and where too go. Great room for the price. great location as there is a bus station tram and train station which is around the corner and its great if you are coming there from the airport. I loved my two night stay at the Piries Hotel! I found the staff to be friendly and helpful. My room was more comfortable than any of the other three hotels I stayed in during my week long vacation in England and Scotland. We what can I say about our surprise at the Piries hotel. With booking this cheap get away short break from our local travel firm Coop travel we were not expecting this delightful hotel so near the Haymarket train station. The rooms were massive and had all you needed and where very clean. The continental breakfast was in excellent with a good choice of food and drink. The where great throughout our visit. We will certainly be returning. The Piries is in an Edwardian townhouse complex. It has been remodeled and refurbished so that it is very comfortable. However, the best thing about the Piries is the people: The staff were all friendly and tried their best to make us comfortable. The location is also great. It is not really in an upscale part of town, but it is only a couple of blocks to HayMarket Train Station. The trains, of course, are great, so you can take a day trip to Glasgow, for example. However, it is also a stop for a variety of buses, both in town and direct to the airport. The prices are reasonable for Edinburgh, too. The next time we go to Edinburgh we will definitely stay here. This was the best lodging of our European vacation. Very reasonable prices, and the rooms were modern, clean, comfortable, very quiet and plenty roomy enough for us. The staff was very helpful and courteous. The hotel is a little bit away from town center... but still walkable from the central train station. Plenty of nearby bus routes. The shower was powerful and luxurious and while the people in the rooms near ours were loud, that wasn't the hotel's fault. Every employee we interacted with was wonderfully polite and overall, it was a great stay. Nice hotel, ideal for the 3 nights I stayed there. Room was clean and comfortable. The hotel has a strong WiFi signal. The continental buffet breakfast was nice, with a range of cereals, toast and coffee, all self-service. Although not centrally located, the Haymarket railway station and bus stop were across the road, as was the tram service and run so frequently, something like between every 5-10 minutes and all transport goes directly into the town. If willing to walk, Edinburgh town is around 10 minutes walk from the hotel. Waverley Bridge has a tourist centre and tickets for any attraction can be purchased there. Overall, I was happy with everything and the service that the hotel provided. I recently stayed at the Piries for a short stay with my Partner over the festive season. 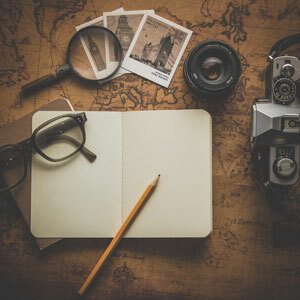 i have taken time out to write this review due to the high quality of service provided and attention to detail in the management and presentation of both the room we were allocated and the substantial continental breakfast we were provided each morning. Nothing was too much for the staff who treated us with dignity for the duration of our stay and were on hand whenever we needed them. 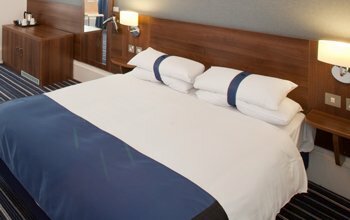 The room was clean and fresh, the staff were professional and the breakfast was the ideal start for a day shopping and socialising in Edinburgh.The hotels location at the edge of the city centre is also a bonus as most city centre attractions are only a short distance away. A taxi is on hand for guests at all times for longer journeys. I would have no hesitation in reccomending this hotel to others and look forward to returning next year. I was there with my friends the last weekend. We hired an Executive room for 3 (Bed basis only - no breakfast). The room was very good, very big, nice & comfortable. Even the bathroom was very big being a hotel's room. The staff was very helpful indicating places to visit & calling for taxis. It is also a 10minute walk from Princes Str. I would definitely recommend this hotel. This was my first visit to Edinburgh, wasn't sure of the Hotel that I booked, but still decided to take a chance. It's very good value for Money (Guess I got a special price because I stayed for 5 nights) ..Rooms are good nicely maintained, Breakfast was Good as well. But the One thing that stands out and deserves a standing ovation is the service !! The service of this Hotel is EXCELLENT !! This is a service based industry, and no matter how many Stars a Hotel has, it all comes down to one basic factor, Service, and how the guest is treated !!! While the entire staff of the hotel were always helpful, I would like to specially mention and congratulate, *****Anna, Natalie, Simone, Lena, & Katalin**** for doing everything to make my stay at Piries Hotel comfortable. Hats off them !!! Piries Hotel will definitely be my hotel of choice if I ever had to visit Edinburgh again, Thanks to the staff ...Keep up the Good work Folks !! I loved the Piries hotel. Excellent housekeeping, great comfortable beds and very nice employees that are always willing to help. 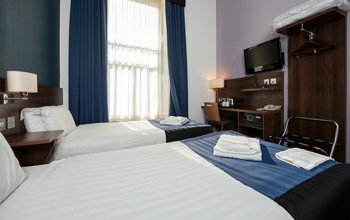 The rooms are small but very clean and it's only a 15 minute walk to princess street and a 25 minute walk to Edinburgh castle. I was a little bit scared off by the bad reviews but I'm glad i got to experience this hotel for myself. The next time I'm visiting Edinburgh I'm definitely booking this hotel. We stayed at the Piries Hotel for 2 nights between August 31st and September 2nd. We had a wonderful experience. The location is not far away from the city centre. About 1h from the Royal Yacht Britannia by walk and 20 minutes from the Edinburgh Castle and the Scott Monument. When we arrived at the hotel, we were welcomed by an employee. Our room was on the 2nd floor and it was perfect (note that there isn't any elevator). It looked exactly the same as the pictures we saw, the TV worked properly, there was a nice large shower with a hair dryer and plenty of light. We had booked with CAA and the price was perfect for the experience we had. The breakfast was included with our stay. It was continental but included many stuff: toast, croissant, pastries, fresh fruits, cold meat, cheese, coffee, juice, yogurt and cereals. Lastly, the hotel has many deals with close by restaurants so you might ask the reception desk. We would also recommend La Brushetta restaurant. We had a wonderful experience there also. Very warm and nice hotel. Excellent location and very friendly staff. The rooms are big and have more than enough space. Very clean and tidy!!! I was staying there with my family and all of us were really happy and had a great trip. I would definitely go back there again and would recommend it to everyone!!!! Cannot fault this hotel at all. Very comfortable stay, highly recommended! In a very good place of Edimburgh (near Haymarket, at 15 min to walk of the City centre), Piries Hôtel is a very nice hotel with an excellent service, employed people are very sympathetic. we spend a very good week. My husband and I booked the Piries Hotel Friday 3 March till Sunday 5 March - 2nd time at this hotel - quick check in - lovely staff and we were upgraded to a Junior Suite. Lovely large room to the front of the hotel. Hotel convenient for bus, train and tram. Overall a fantastic stay, will be back. My boyfriend and I stayed here for 2 nights on October 12 & 13th 2017. The room was clean and roomy. Though all of the staff we met during our stay were ever so helpful, friendly and accommodating, one person in particular stood out. That person was Cristina, she went above and beyond to make sure our stay was nothing less than perfect. Thank You Cristina for everything. I was only staying in Edinburgh for one night (on route to the airport) but I couldn't haven't picked a better hotel for that one night. The hotel doesn't look like much from the outside, it shares the street with homes and other guest houses but does have a large sign so it's easy to spot. At the road end, two minutes from the hotel, there is a bus stop to get you right into the city and on the other side is the stop for the Lothian Buses 100 Express Airport Link. After arriving outside the hotel and before I had even stepped in the door I received a helping hand with my suitcase up the steps from a kind member of staff. The same gentleman explained where to check in but he noticed there was a queue and asked if I just wanted to drop off luggage, which I did, so off he went to get some tags and that was me ready to head back into the city. Arriving back the same evening a different member of staff was at the desk but he was just as helpful as the first. He got the room sorted, took my details and was very polite when I asked for some help regarding public transport. I was in room 21 which is on the second floor, (there seems to be no lift so heavy luggage could be difficult to get up and down) and was extremely surprised when I opened the door to a small but well decorated and high quality looking room. The bathroom was again small but in no way bad, it looked newly done, was clean and they provided basic toiletries. The tea tray was well stocked, extra pillows and plenty towels were already available in the room without asking at reception - but even if I had had to ask, I doubt it would have been of any bother. Wifi is available as an extra charge, if I remember rightly it goes from an hour to four hours and is pretty well priced. It cost £5 for four hours but it's not consecutive hours, you log on and off so can use the four hours over a few days if you wanted to. I didn't eat here, the cafe area looked small but was busy both on the morning of checking in and on the morning of checking out. All in all a lovely little place that is well worth the money, in fact I stayed in Edinburgh the week previous and paid a lot of money for a well known hotel and received much worse quality and service there! If I ever need a little hotel close to the city centre and/or the airport I will be booking with The Piries. Everything was really good. 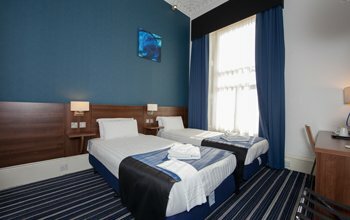 The staff were friendly and the room was very comfortable. The price was good and the hotel is located close to the centre and bus stops. The breakfast was well served and with a great variety of food. The Room was very spacious and comfortable. The breakfast was excellent with plenty of choice. The hotel is centrally situated 2 min walk from Haymarket Station. We will definitely return. The staff are very friendly and helpful. Booked this hotel as i needed to be near the Hilton and hay market station,very nice hotel in a good location,staff very friendly and rooms clean and comfortable.Would definitely stay here again.The hotel is only 3 minutes walk from hay market station and there is lots of bars nearby. This is my second visit to this hotel. Both times we have been made to feel very welcome and the rooms are well presented, clean and comfortable. 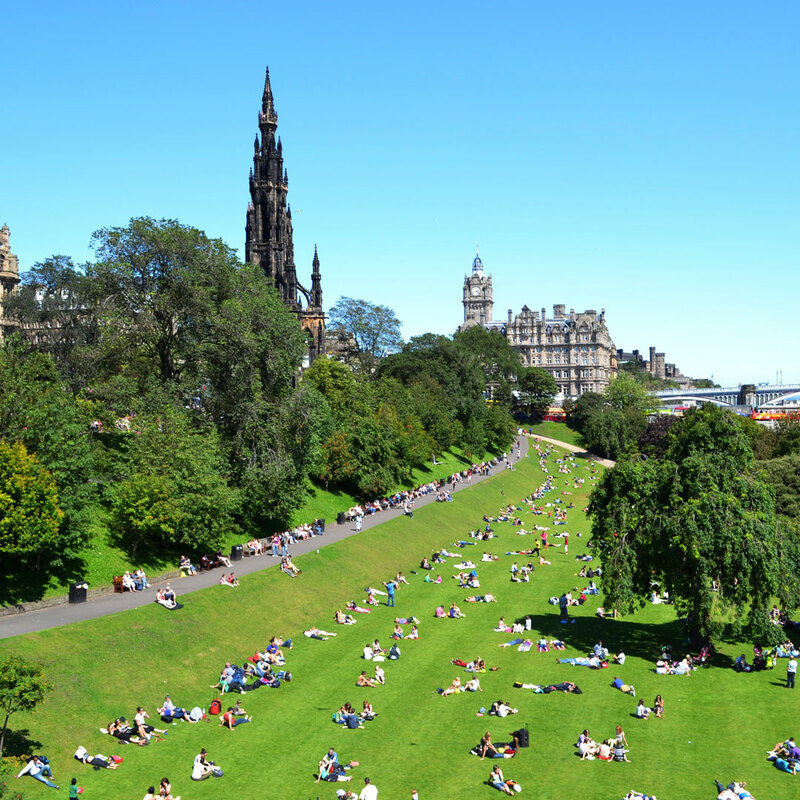 It is a good location for Edinburgh city centre if you don't mind a bit of a walk. The breakfast is a little basic, but I would happily recommend this hotel to my friends. We stayed in a clean and cozy little room on the second floor that had a shower. The hotel staff was very helpful and the 24 hrs reception is a big plus, considering our plane was late. Airlink drops you off a 5 min walk from the hotel. It is really close to the Old Town, it took us 20 mins to walk up to the castle. After check-out they offered to watch our luggage until we had to catch our bus to the airport. I think it was totally worth it, especially for this price. We did not book breakfast though as we preferred to eat out so no experience on that. I would book a room here again, I do think it is a nice place. Visited this week for a two night break, no complaints whatsoever. We arrived early at 11.30 to ask if we could leave bags and check in later, as our room was ready we were able to check in right away. Our room was on first floor at the back, very comfortable and we had an excellent sleep. Breakfast was very good with plenty of choice for a continental service. During our stay we found all staff to be friendly and most helpfully, if returning to Edinburgh we will definitely return to this hotel.